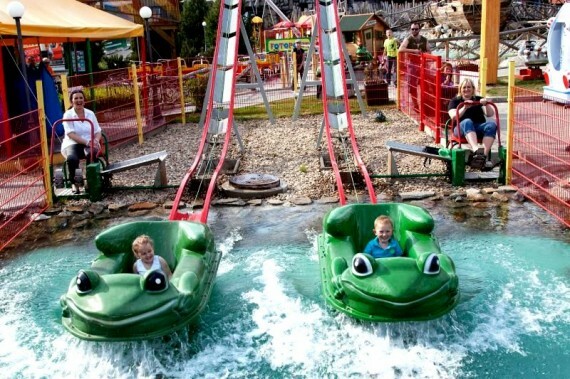 This is probably the biggest kid’s theme park in the Czech Republic after Prague’s Matejska Pout. Yet this park is open 7 days a week throughout out the whole year. 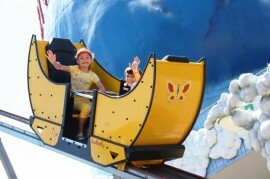 Admission to the park is free as well as many attractions so you just pay for the desired attractions. 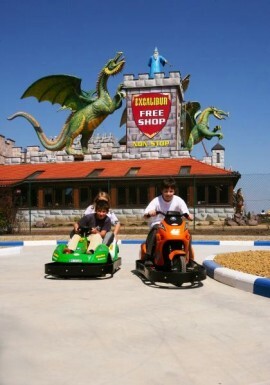 The amusement park is a part of Excalibur City – a duty free shopping mall on the Czech border with Austria in South Moravia near to Znojmo - famous for it’s wine. 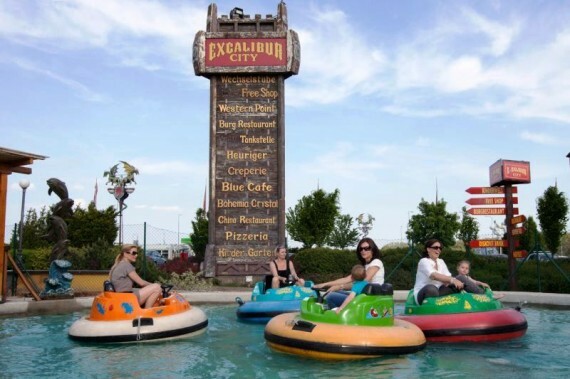 They truly offer fun without boundaries - slot cars, boats jumping in the water, ferris wheel, pirate ship, balloon embrasure, pirate embrasure, roundabouts, slides and much more. 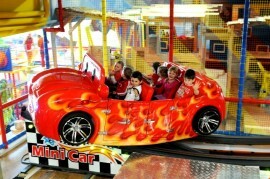 In a bad weather you can enjoy the indoor part of children’s beach which is a nice Indoor playground. There is also a multi-functional theatre space, where they can organise kid’s birthday parties. I could see us turning it into a big birthday surprise for our boys. 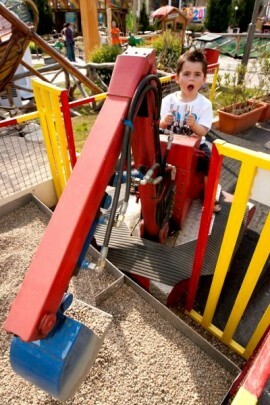 We have come across this amusement park on our way to Vienna but we could not stop there because Marcus was sick. Yet I’ve decided to let you know about this option beforehand and I will update when we finally make it there as i’m putting on our Trip with Kids list. 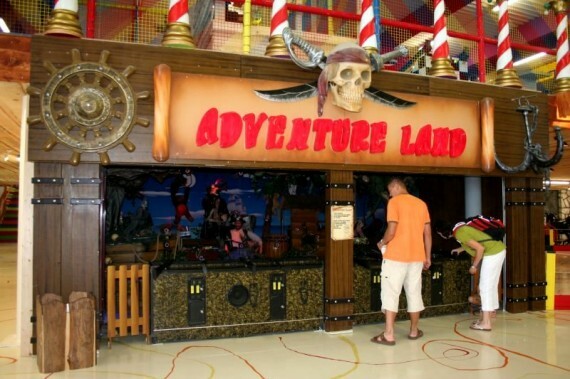 Aside from attractions such as the bumper cars, Russian wheel, happy journey and numerous arcade games, you can also visit a bistro with its own selection of Merlin’s meals, a café and toy store, as well as an info point where the staff are ready to help assist you anytime. 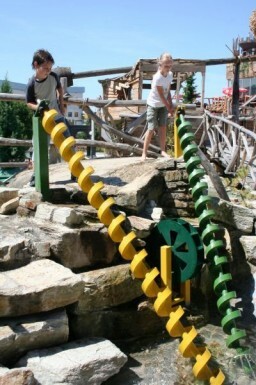 The construction of the kids world as we know it today, began in 2009 by rebuilding a Recreation Park. The first part of it was a great success and it was decided to extend the existing part and offer more attractions and entertainment. 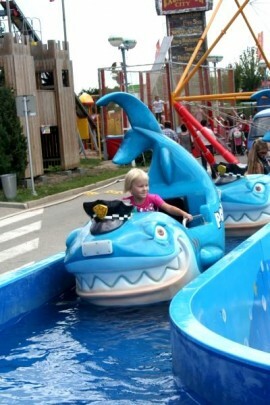 In 2010, they built the water world and the splashing brought a new atmosphere to the area. Sure, give kids water and they are happy – basic rule. 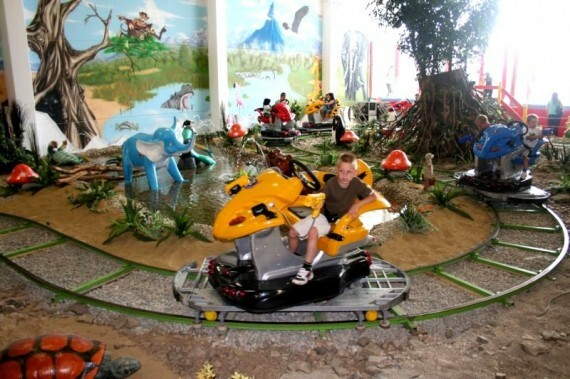 With it’s growing popularity this raised questions as to what they should offer children in bad weather, thus Excalibur created a Children’s indoor world, which has been in operation since last year. So a solution for any weather! The Excalibur City - shopping and entertainment centre lies on the border between the Czech Republic and Austria, at the former border crossing Hatě, Znojmo. This year they celebrated their 18th birthday!!! They do not guarantee just fun for smaller children, but adrenaline fun for older children and adults too - something for everyone. The latest thing they have is Mini-Golf. As I have mentioned the entrance to the grounds is FREE! Payment for Merlin attractions are through tokens - tokens that can be purchased on the spot in exchange machines, both for the Czech Crown and Euro. You and your kids can join the Merlin Club for free for which you receive 5 tokens (attraction ride costs 1-2 tokens) a T-shirt, discounts in the Toy Shop and other shops and discounts on Birthday Party packages plus kids up to 16 years sleep free in the Hotel Savannah 4* nearby. All you need is just to fill in a form on the spot.